Today's post is a guest post from my friend Riddhi Bhatt, who is a freelance writer and a full time mommy to two very cute kids. In today's times, when parents can only think of malls to take their kids during weekends, I always thought we should have a place which is for kids only. Of course you have gaming zones, but all you have there are games, and there's no learning for the kids. I randomly mentioned this thought of mine to my friend Riddhi and she shared her experience about Kidzania with me. I was pretty impressed. So I asked her to pen down a post about her experience at Kidzania for the sake of So-Saree Readers. Last Sunday we headed to KidZania, an indoor theme park for families that empowers, inspires and educates kids through real-life role-playing activities. 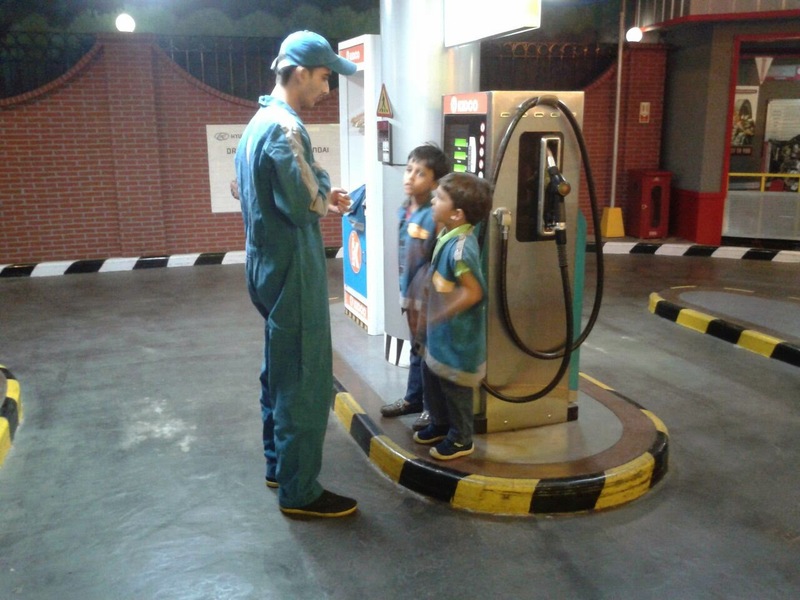 Emulating the workings of a real life, scaled to that for children, Kidzania brings in entertainment within reality. As my children went about role-playing various different work profiles from Surgeon to RJ, to Stylist to Construction Worker to Fire-Fighter, it was fun to see them enthusiastic about spending and earning the KidZos, the KidZania form of money. With over 50 activities to choose from, both my kids we running from one direction to another and I was at a loss of what to do. Just then to save my day, a member of the Blogadda team and a marketing representative from Kidzania helped me with a nice schedule of activities that we could follow to enjoy and make the most of our time in the park. Off we went from one activity to another, playing the role that was demanded sometimes making money and sometimes making goodies to take back. Slowly I realized that my children understood the concept of making money and ensuring they had enough to spend on the next activity. I saw that when the stash was decreasing they asked me to take them to those role play areas where they could make some money before enjoying the next activity. At every activity kisoks there are Zupervisors who are hands on to help assist the children, explain the activity to them and then finally help them enact it. The staff members are polite and humble and understand children’s needs and put their comfort and security before everything else. After an hour or so the children got the hang of it all and then they were off by themselves. It was nice to see them being so independent and going to do activities that they themselves wanted to do. It was kind of a personal milestone for them to do the list of activities and earn a lot of KidZos. They were slowly but steadily getting a hang of working together with others, completing assigned tasks and think creatively. As the day grew sunnier, they had more or less completed all the activities and we were all ready to call it a day. I saw a significant change in my boys. From the ones who had walked into the park holding my hand to the boys who strode out confidently wanting to buy me a gift with the KidZos they had earned. My boys grew up in a matter of hours. 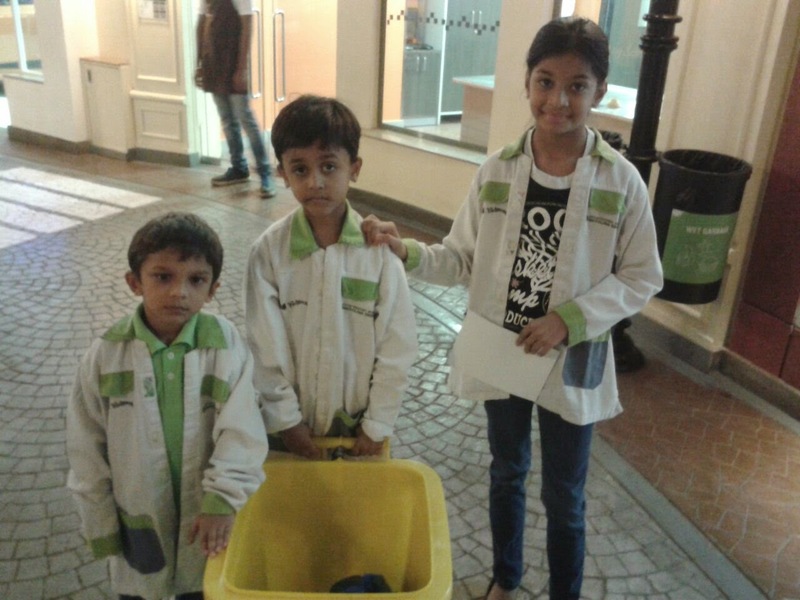 This post is a part of the KidZania bloggers meet activity conducted by BlogAdda and KidZania. Get daily ideas and instructions for generating THOUSANDS OF DOLLARS per day FROM HOME totally FREE.